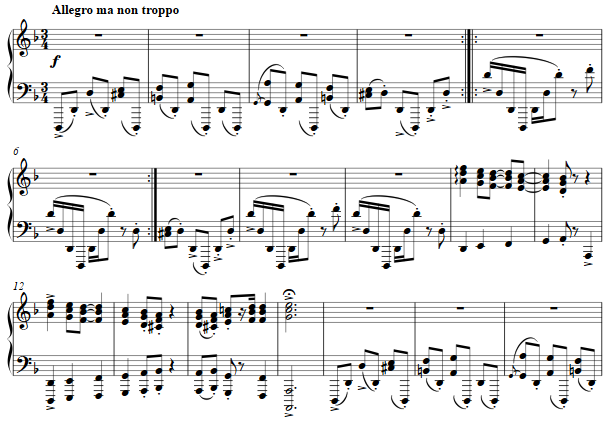 Percussive octaves and intervening voices moving in opposite motion make up the theme of the prelude. Episodes between the thematic gestures are simple parallel triads in the natural minor. 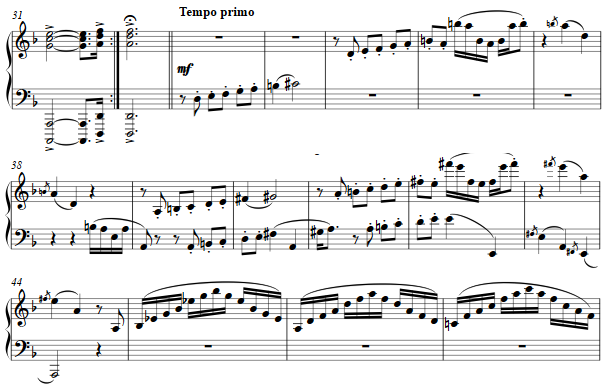 The fugue is an ascending harmonic minor scale, stretched over two octaves and with a blurred punctuation on the raised sixth and final fall back to the tonic. The answer follows in the common practice dominant. The first episode sings B-A-C-H in triadic harmony, chromatic unlike the minor scales of the themes of both prelude and fugue..